My name is Khalid Mahmood , I was born in Faisalabad 5th Jan, 1976, I was youngest in my family, We are 6 brother and sister 5 brother and one sister my sister was No 1 , I got my Schooling from Faisalabad,When I was child I used to visit One Molvi (Mullana), He was teaching their religion things, I started my High School from Distt,,Chakwal, Because my family belong to Chakwal, My father used to work in Faisalabad Kohinoor Mils, When my father got retired we come back in Chakwal, While I was in High School in Class 9th I got married, When I was in class 10th God blessed me with one son, Now I have 3 sons and 1 daughter, My Daughter born in Quetta and her name is Phoebe. In 1995 at Quetta I got a job in FC as medical assistant, in 1998 the place called Turbat there is one check post its called Hoshab I was on duty there, I was working as a Medical assistant there, beside that at evening and some time morning, I was leading people to pray, ( like Molvi) when I was on that check post I study so many Islamic book, Like Story of Prophets and Khulfa -e – Rashdeen , Fazane Sunat, and the same way lot of other book like vision of death what will happened after death, When I study all those book I felt I am a big sinner, Feel as where i am living this is the world of sin. I daily used to speak false some time I did every things with my hand, some time I cheated people, Because I was really greedy person. When I was reading a book of Khulfa -e- Rashdeen, I felt how they were afraid about their death, I see they used to prayed how they will saved from this pain of grave.When I saw myself like they see them-self I saw just darkness, I was really afraid about my future, even I use to pray for 5 times, I was trying to do my best so I got Heaven, some time I used to pray at night, Since I found out I am really a sinner I used to pray at night I took Woozoo at night with cold water, some time I felt nobody can save me so I use to cry some time O Lord what should I do? I always used to pray God please forgive my sin, what every I did please forgive, then I came back in Turbat Headquarter my life style has been change I met one person his name was Safe Jan, One day Safe Jan share his problem with me. He said sir as you know I am Christian and I do not know anything about Arabic, My kids have a problem they are very week in School in this subject can you help me to teach my kids this subject. Even I don’t like Christian I do not know why I say yes, because when I was child I Has been told the Christian people are not good people they use to drink Vine do Idol worship and lot of other stories I had in my mind, When I went to their home I felt like they are like us no different they had. They were neat and clean, their house was real clean, after some day while I was coming in their house daily I saw a book in their shelf I asked them what is this I thought this is kind of Novel or any kind of Magazine. I start to think about that how it can be happened, I start to read Bible, most of the time during my night duty so I spend lots of time to study, when I read Last Chapter of Mathew 28, When Jesus says go all the nation, and disciples them, Jesus said I will be with you end of the this world, I start to think why He said this to his Disciple end of the this world that mean I am part of this world I can be save to, The same Jesus can save me to, because He said the end of this world, I start to think I am going to believe him, When I read the book of Acts, I read one verse it says this is the Prophet all the prophet give his Testimony, Act,10:45,46.
when I shared this news with staff, one of the staff was got scare she said why you did this, she told other people, They tried to convince me that I can go back again if I want, otherwise you going to received punishment, that make me really upset, The Whole Hospital got this news then they took me in local Masque, then they took me in other Masque, but they did not give me any punishment, but they said now you reject our Holy Prophet now you are not any more husband of your wife, After all of this happened my family come to know the whole story they also got upset with me how that happened. while I was in my home, My father very cried my all relative really got upset, at night when I was with my wife in bedroom My wife was really upset according to her my marriage relation has will be broken, because her friend has been told her I am not any more husband of her, I force her we will not live there, she convinced, so I took her in Quetta, it was hard for me to live there, because the Government did not give me permission to keep my family I use to live with my friend but when he find out I have changed my religion, He kicked me out, then we got one room on rent, on 1200 Rupees, per month, My wife used to read their Islamic book,, and I used to study my Bible, financially we were going down, it was hard for me to tell my wife, about my heart, my wife was still thought my decision was wrong, in mean time I got liver problem, we were living with other family, they were Muslim, we have hard time to living with them, while I was in Hospital she had hard time, she started to think we should go back to Christina colony, in same time she had a dream she is in trouble, I told her Jesus can save us permanently, finally she convinced, she got baptism, we went back to Christian colony, in same house where we use to live, my wife was a new believer, After that we got Posting in Rawalpindi, it was hard for me to keep my family, while my wife was in village, she prayed for people, my elder brother really got upset with my wife, I was on duty that time, One day she call me and told me everything, my whole village was there, They abused me and my wife, They said we give you other chance untill then tomorrow, after that we went back and prayed to God, we asked to help. Next morning we left our home, on 14 Aug, 2005 we had nothing in our pocket or in my hand my little daughter had little milk bottle, and I have one Nail cutter these were two things we got from our home, we were thinking where we will live I called one Pastor sab and told him whole story, He said come to my home, this was day of Independence day of Pakistan there was not much traffic on the road but God made us possible for us, then I went back on my job we took little room Iqbal town, we all sleep there in same time one time my family came to me and try to get me back, but we were strong enough, our main problem was children Schooling, my salary was not enough to put them in good School. In 2007 I got a posting in Sibi, in my unit everybody knew about my life, in Sibi I used to listen radio, that was the time I start to think I should leave that job, I start to pray about that, I come back in my home and never go back, my pastor said our church will help you, in mean time I met with One Evangelist. He helped me financially, so we got little settle. I have started as a regular student since 2010. I had completed my three years Diploma in Theology in 2013 from Zarephat Bible Seminary Rawalpindi. Since last one year I am serving as an Evangelist in different areas of Pakistan in non-Christian (MBB) People. Please pray for me I have burden to share Gospel in other nations, God provide me all the resource so I can serve my Lord, all the time. June 3, 2014 An Amazing Iranian ex muslim testimony!!!!! At this point in my life it is difficult to find somebody speaking about the love and power of Jesus that would impact me as this Iranian with his testimony of how he found Jesus and became a Christian. In his testimony you will hear the truth about Islam. These facts were generally known to me but it is unknown to the majority of the world. The contrast between Islam and Christianity is so vast that you have to be deeply involved in Islam or in Christianity to really see the abyss that separate the two. 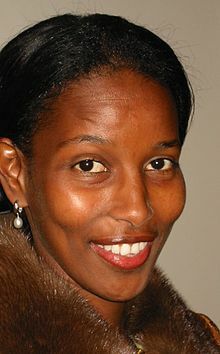 Ayaan Irisi Ali has often been rejected by the “multicultural” establishment, perhaps most memorably in April of this year by Brandeis University. Firasat fled to Spain, but wasn’t a quiet citizen: he proceeded to agitate against Islam and the Qur’an, which he asked to have banned in Spain because it incited hatred. He even asked to burn one in public. Bible Journaling, Art, Planner Love, Chickens, Ducks, Homeschooling, Book Reviews, Firearms, Coffee, Cats, Dogs...and anything else this Christian Housewife wants to blog about. K H A L A S ! by Abdul-Quddus -- a former convert to Islam turned apostate, ex-muslim, freethinker, born-again atheist, and vegetarian gone wild!